This entry was posted in osde and tagged chat, opensource, text chat, voice chat on 14/01/2019 by osde8info. This entry was posted in osde and tagged beta, browser, download, firefox, mozilla, opensource, testing on 23/04/2018 by osde8info. 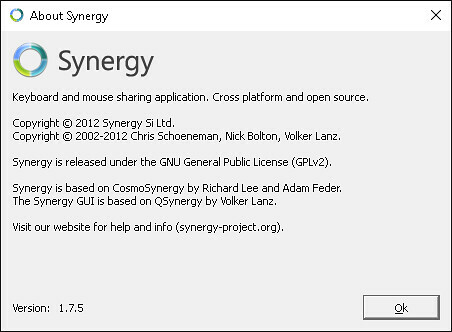 Finally on the SynergySeamless 1.7.5 about page the flos opensource copyleft copyright info doesn’t seem to have been updated since 2012. This entry was posted in osde and tagged flos, kvm, opensource, remote control, synergy on 02/12/2015 by osde8info. This entry was posted in osde and tagged 4K, editor, opensource, video on 26/11/2015 by osde8info. This entry was posted in osde and tagged hypervisor, opensource, oracle, virtualbox on 11/07/2015 by osde8info. I have just found a six year old article by gizmonaut titled why do we need a different mobile OS and why Symbian was the 'answer' ! Is Android now an even better 'answer' in 2010 ? This entry was posted in osde and tagged android, mobile, opensource, os, symbian on 05/03/2010 by osde8info. Proof that Google Chromium OS is in fact OpenSuse 11.1 ! 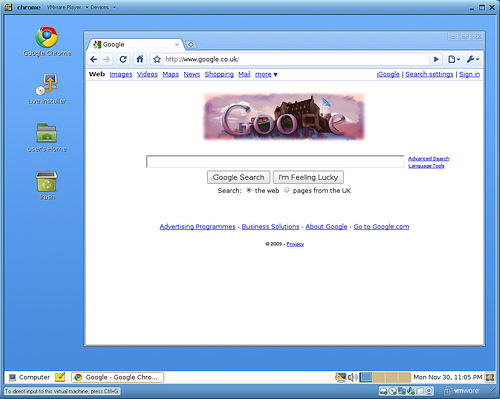 and Google Chromium OS running Google Chromium Browser ! This entry was posted in osde and tagged 11.1, browser, chrome, chromium, distro, gnu/linux, google, opensource, opensuse, os, st andrews day, vm on 30/11/2009 by osde8info. Oracle Enterprise Linux (OEL) is freely re-distributable ! Oracle Enterprise Linux (and Oracle VM) is freely RE-distributable ! Yes, it's free download but also free to re-distribute including copyrights and trademarks, see the EULA for more details. And theres now a public yum server for OEL that offers a free and convenient way to install packages from the Enterprise Linux and Oracle VM installation media via a yum client. This entry was posted in osde and tagged centos, distro, free libre open, gnu/linux, linux, opensource, oracle enterprise linux, oracle xen vm, redhat, repository, rhel, rpm, vm, xen, yum on 03/11/2009 by osde8info. Supported on over 1000 x86 and SPARC platforms—delivers the performance, stability and security your users and customers demand. With more applications available than for any other open operating system, one OS can span your entire enterprise: the Web tier, the data warehouse, and the most demanding technical compute applications. Solaris appears to be free of charge (subject to the Legal Requirements below) while OpenSolaris is free libre open and free of charge ! The Solaris 10 code can be obtained via a free Web download, obtaining a Solaris 10 media kit through the Sun store, receiving Solaris 10 pre-installed on Sun systems, among other methods. Use of the operating system is governed by the terms of the Software License Agreement (SLA). In order to use the Solaris 10 Operating System for perpetual commercial use, each system running the Solaris 10 OS must have an entitlement to do so. The Entitlement Document is delivered to you either with a new Sun system, from Sun Services as part of your service agreement, or via e-mail when you register your systems through the Sun Download Center. In addition, if you install the Solaris 10 OS on additional systems, you must register those systems to receive an additional Entitlement Document. This entry was posted in osde and tagged opensolaris, opensource, os, solaris, sun, sysadmin on 24/01/2009 by osde8info. PS You need to sign up if you want these articles in a "printer friendly" format ! This entry was posted in osde and tagged free libre open, magazine, opensource, software on 24/04/2007 by osde8info.